Besides all the usefulness and fun they provide to adults, mobile apps are also really valuable tools to educate and entertain kids, though act with caution as some of them may cause addiction. Let’s dive in and see the best ones you can load on your iPhone, iPad or Android. 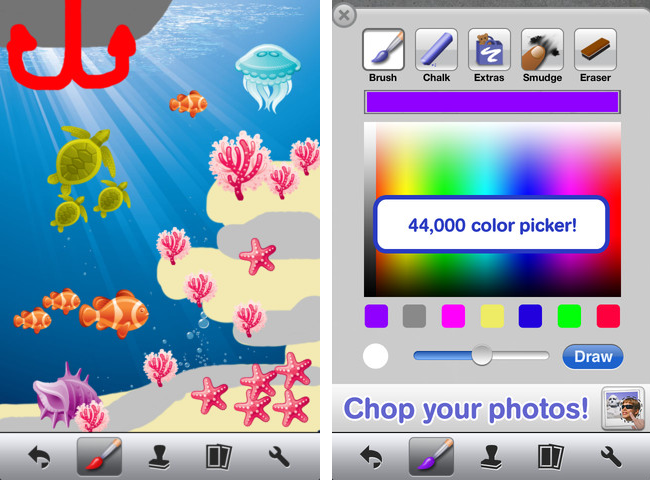 Doodle Buddy (iPhone, free+in app purchases) lets your kid finger paint with his favorite colors and drop in playful stamps. Funny sounds are also paired with stamps. Once you’re done you can share the masterpiece on Facebook or send it by email. 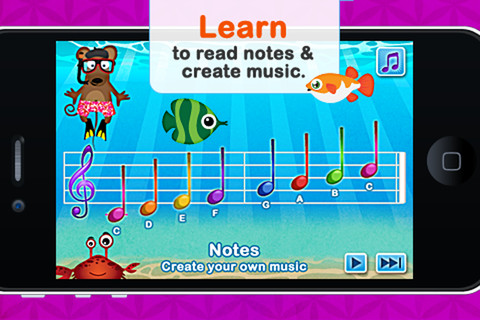 Toontastic (iPad, free+in app purchases) is an app that allows to unleash your kid’s creativity. It lets kids draw, animate and share cartoons in a really simple way. Kids can record their own voice, move characters onscreen and tell stories through play. 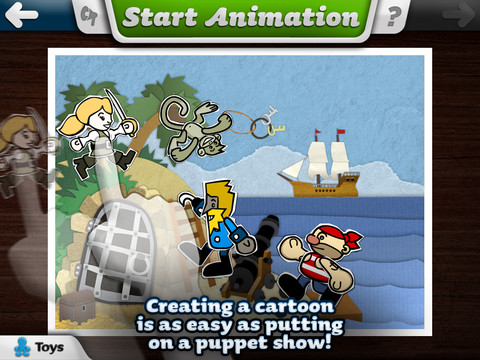 Toontastic then plays back your animation and voice and also allows sharing with friends. 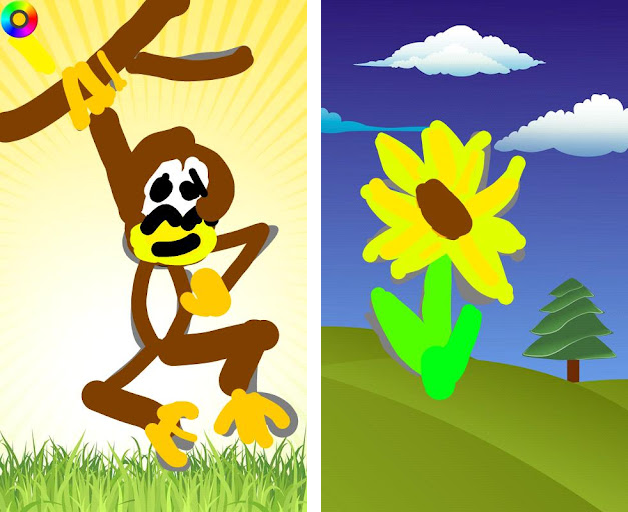 Kids Finger Paint (Android, free) well, lets children draw on the screen using their fingers. They can choose a color, brush, or background just by touching the color wheel. By hiting back they can undo mistakes and by shaking the phone, kids can clear the screen. 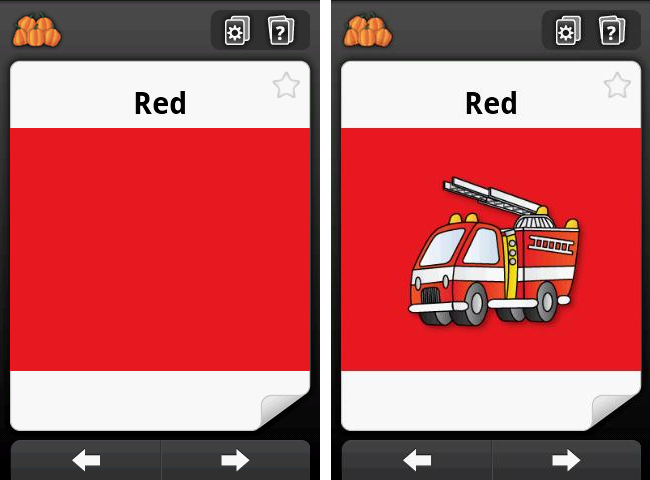 Colors (Android, free) For children as young as 6 months, this app also allows you to help your child learn the colors by showing a big color block on one side of the card and a picture of an object on the other side of the card. 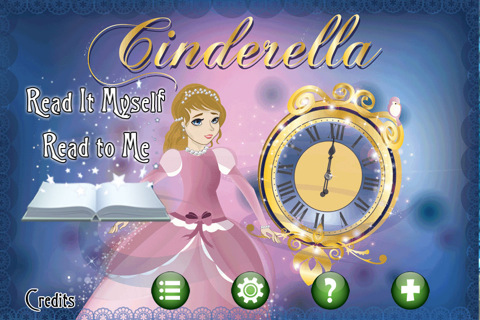 Cinderella (iPhone, free) lets you use “Magic Ink” to color in pages and reveal beautiful color illustrations. You can also choose a narrator (male or female) to read the book to you. Interactive Alphabet – ABC Flash Cards (iPhone, iPad, $2.99) This apps develops your child’s reading foundational skills, every letter is a unique, interactive toy. The memorable flash cards engage children in learning and aid in development. abc PocketPhonics (iPhone, iPad, $2.99) It’s for kids aged between 3 and 6, and using the best ‘phonics’ teaching techniques, PocketPhonics introduces kids to each of the key letter sounds. 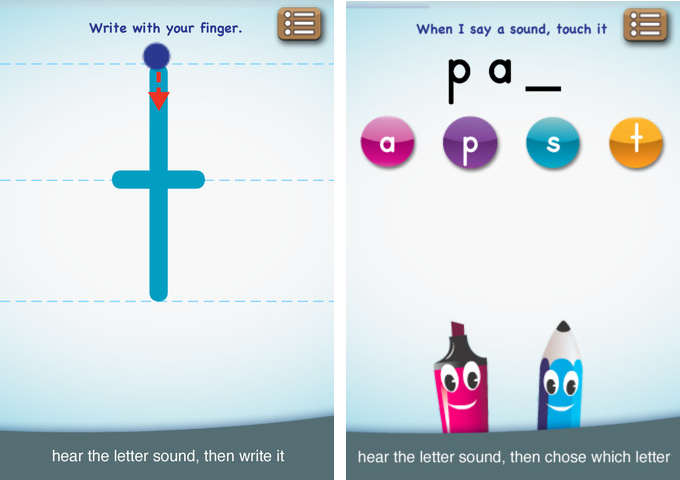 As they learn the sounds, the app guides them how to write each letter through its unique follow-me arrow. 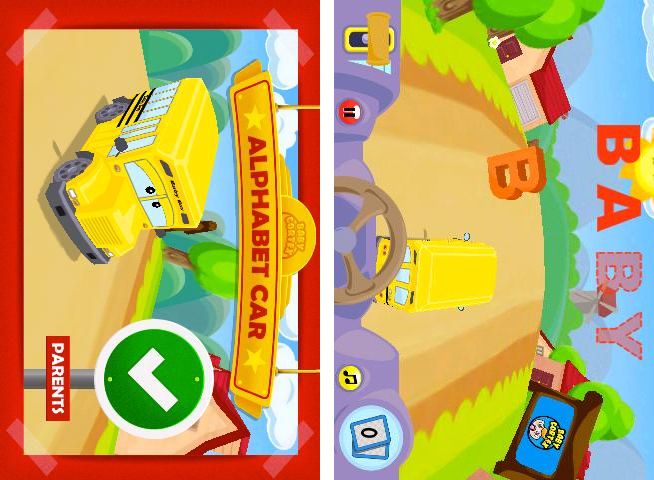 Alphabet Car (Android, $2.99) It takes your kid for a ride and allows to find the right letters to a given word by using your mobile device like a steering wheel. The app features environments with beautiful 3D graphics and music. 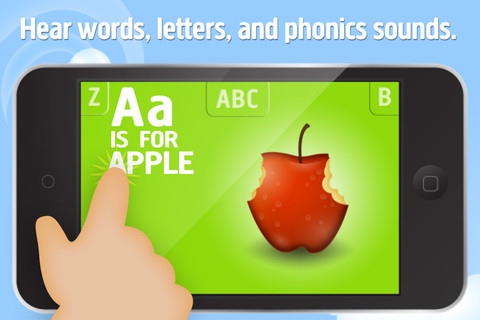 Alphabet CarKids ABC Letters Lite (Android, free+upgrade) Aimed at kids ages 2-7, this app helps kids learn the alphabet letter names and practice letter shapes, letter recognition, and finding letters in context. 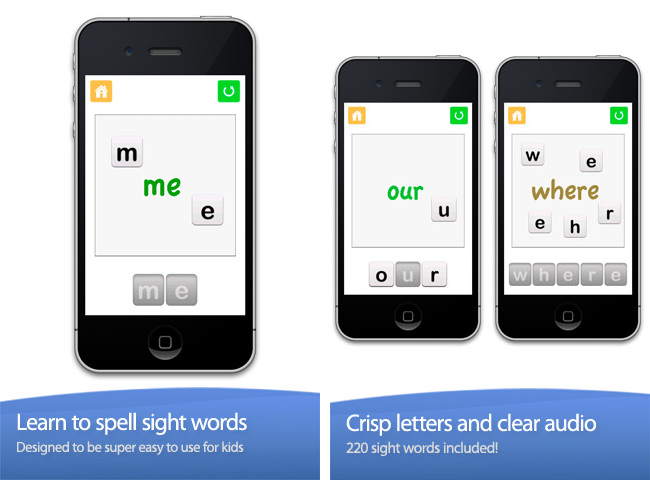 Sight Words (iPhone, iPad, free) The app helps your child learn to speak, read, and spell as they learn to recognize words and letters by sight, sound and touch. It puts emphasize on the 220 words that make up the most common words of the English language and are easiest learned by sight. The app allows you to add your own voice, so your toddler can learn everything in mommy’s or daddy’s voice. 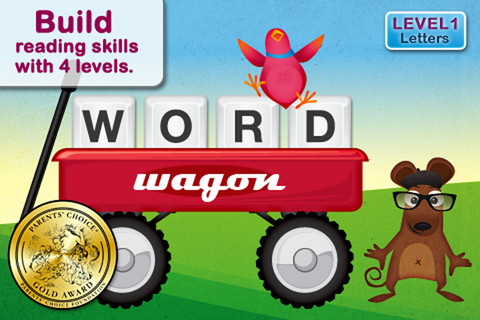 Word Wagon (iPhone, iPad, $1.99) Your kinds will become best friends with Mozzarella the mouse and with Coco the bird, as they play with letters, words, and phonics. The app features very attractive graphics and includes more than 100 words (including Dolch words), each with engaging illustrations, animations, and sounds. You’ll be able to choose words from seven different categories: animals, food, vehicles, numbers and colors, around the house, Mozzarella and Coco’s favorites. 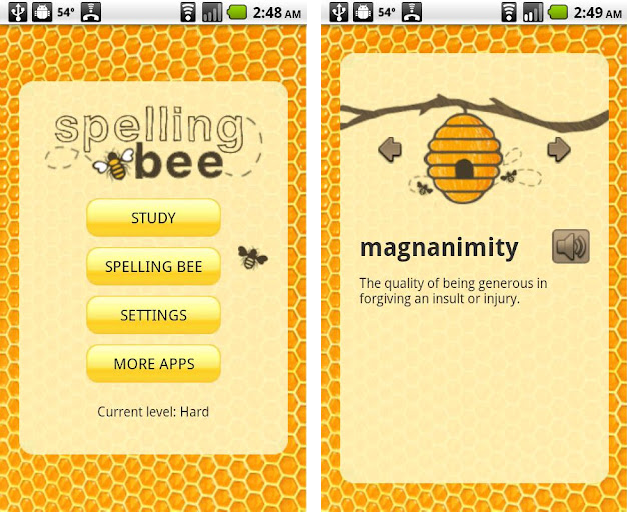 Spelling Bee (Android, free) The app contains 2300+ English words and also clear audio clips are included. Words gradually increase in difficulty. 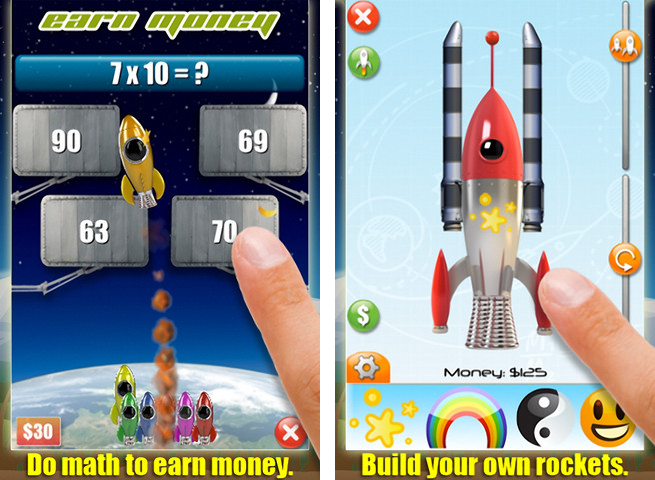 Rocket Math (iPhone, iPad, $0.99) This app let’s your kid learn math while building his own rockets and fly them to the stars. There are 56 different math missions and each of them has touchable objects floating in space, including stars, coins, clocks, 3D shapes and even pizzas. This app covers: numbers / fractions / decimals, counting, telling time, U.S. money, shapes (2D and 3D), patterns, addition, subtraction, multiplication, division, square roots. 1) Swing: Numbers –- Count up to 50 as a rabbit swings. 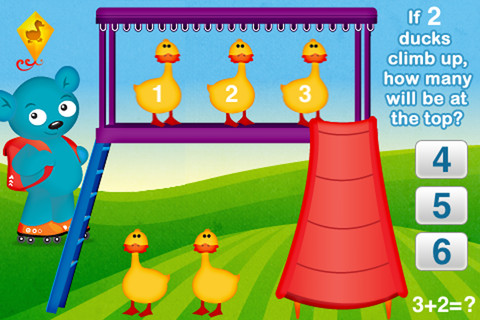 2) Slide: Addition — Help ducks climb to the top of a slide and learn how to add. 3) Seesaw: Greater Than / Less Than — Balance a seesaw by adding and subtracting mice. 4) Apple Tree: Subtraction — Learn how to subtract as apples fall from a tree. 5) Sandbox: Patterns — Complete the pattern in a sandbox with the correct toy. 6) Bench: Sorting — Order the dogs from small to large. Order numbers in sequence. 7) Picnic: Counting — Feed a hippo the correct number of food items. Kids Numbers and Math (Android, $2.99) This is a simple game for preschoolers that makes learning numbers and basic math skills enjoyable. Numbers are spoken in kid-friendly English, Japanese, French, German, Spanish, Russian. 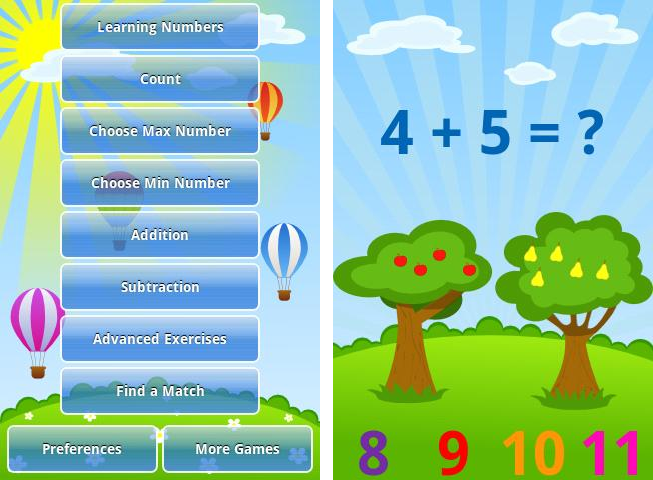 Activities included: learning numbers, choose max/min number, addition, subtraction, find a match, advanced exercises. Peekaboo Wild (iPhone, iPad, $1.99) The app features beautiful crafted graphics. 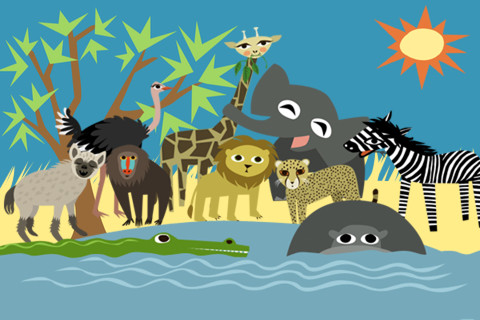 You can have a great time with your child learning the names of animals–in English or Spanish–and hearing the sounds they make. Younger children will love peeking through the grass to find a new animal, as they learn about cause and effect and become familiar with animal names and sounds. 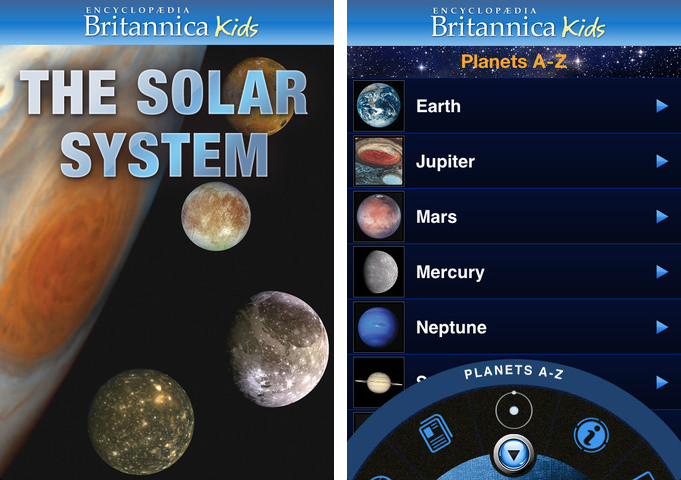 Britannica Kids: Solar System (iPhone, iPad, $4.99) Explore with your kid the secrets of the Solar System in a fun and engaging way. Learn and play at the same time through a variety of games like Memory Match, Jigsaw Puzzles, and the Magic Square among others. Coverage of the topic includes the makeup of the Solar System and the planets, featuring the 8 major ones. 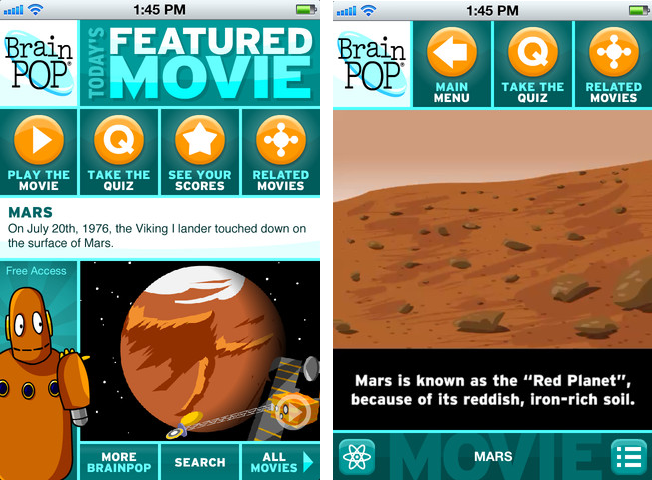 BrainPOP Featured Movie (iPhone, iPad, free+upgrades) It allows your kid to watch a different animated movie every day, then test your his knowledge through an interactive quiz. By buying an in-app subscription you enable kids to explore more than 750 Science, Math, Social Studies, English, Engineering & Tech, Arts & Music, and Health subjects. i Learn With Poko: Seasons and Weather! 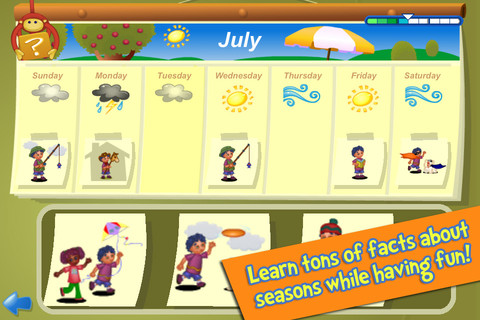 (iPhone, iPad, $0.99) Help your kids(age 3-6) identify weather conditions and choose suitable clothing and activities. Science Fun To Go (Android, free) Get kids excited about science and nature by putting fun activities and engaging, illustrated books right in the palm of their hands. 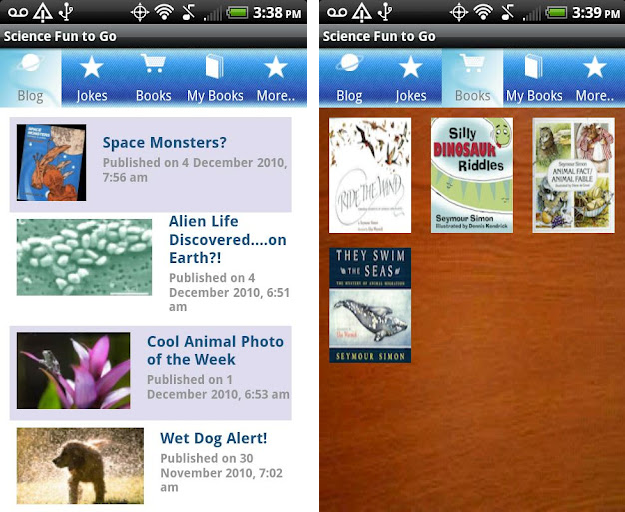 This free app features the popular Seymour Science blog, which is read by children and adults nationwide. 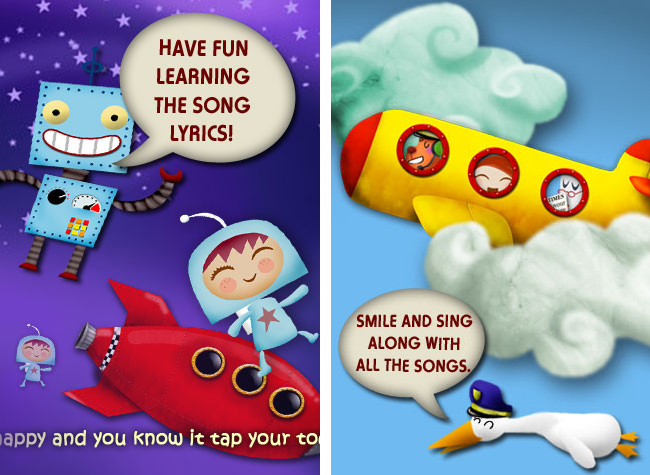 Kids Song Machine (iPhone, iPad, $1.99) The app is designed for young children, to sing and learn the song lyrics, with interactive animations by simply touching the screen. Kids Song Machine contains 10 songs from Old McDonald to Jingle Bells. 1) Memory — Listen to the notes and copy the pattern. Train your ear to hear different pitches. 2) Rhythm — Touch the birds to play a song. Learn about rhythm, and short and long notes. 3) Dance — Tap, drag, or hold the monsters and make them dance to the beat. 4) Instruments — Play along with a drum, cymbals, triangle, maracas, egg shaker, or duck! 5) Notes — Learn to read notes and create your own music by moving notes on a staff. 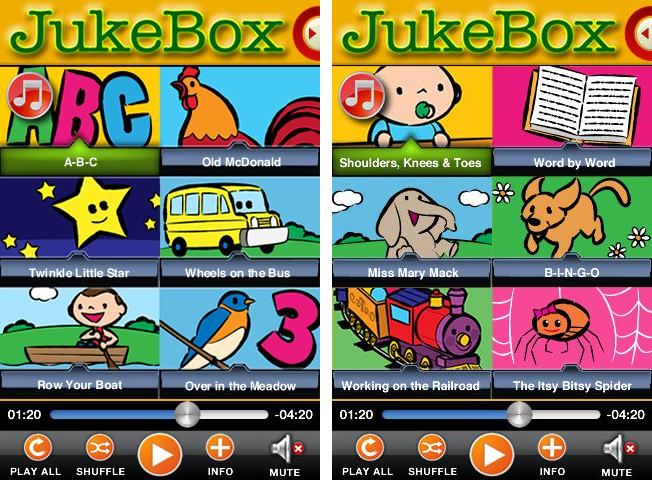 Toddler Music Jukebox (Android, $1.99) Toddlers love music and singing along to great songs. This app is all about great music. It is filled with eleven classic songs plus a new original song about reading. 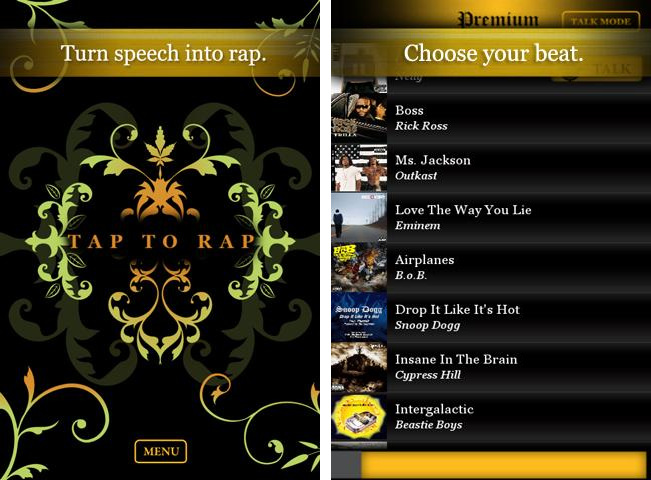 AutoRap (Android, free) If your child is into a popular rap song, checkout this app. It turns speech into rap, and corrects bad rapping. 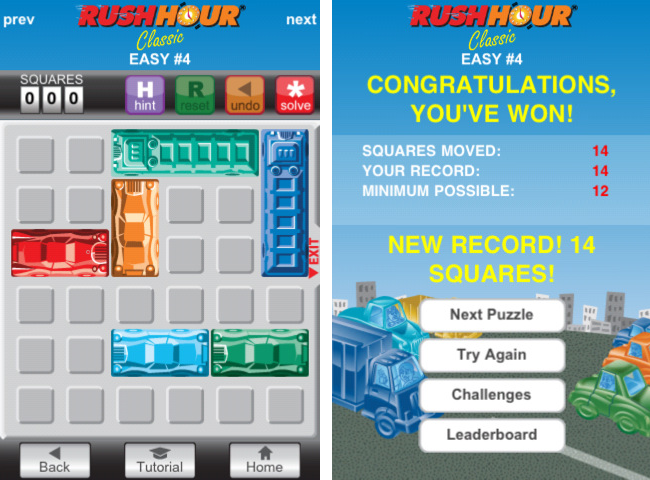 RushHour (iPhone, iPad, $2.99) This is the original sliding block Traffic Jam puzzle, brought to you by the company who created it – ThinkFun. It comes with a whopping 2500 challenges, ranging from Beginner to high Expert. 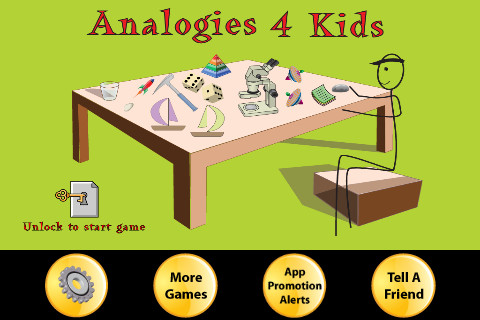 Analogy (iPhone, iPad, $0.99) The app challenges young minds on their cognitive skills. It helps with analytical thinking, problem solving, perception, spatial skills, memory, and creativity. In this app, there are presented analogy questions of different types. 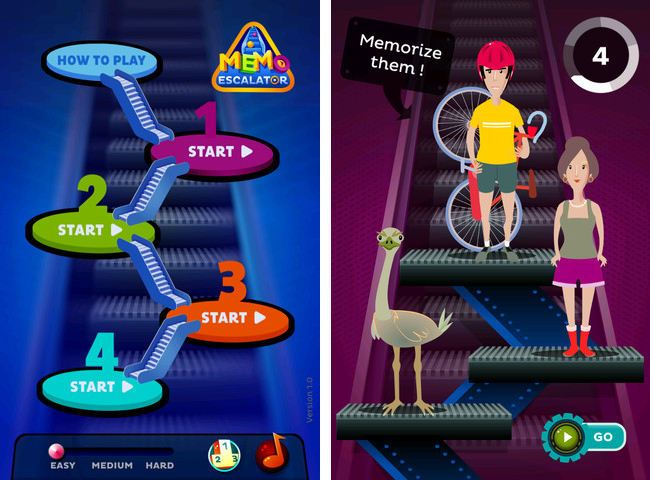 MemoEscalator (iPhone, $1.99) This app will help your kids develop their visual skills and memory, let them train their mind! The game has many levels sprinkled with plenty of fun surprises along the way.